Some people love to read, while others rather get straight to the point. Therefore, another way to monetize through PLR is by converting your e-books into condensed special reports (usually about 20 pages). Take the most important ideas of the e-book and turn it into a special report which is perfect for generating leads through a squeeze page or used as a gift in a giveaway event (refer to previous chapters on gifts). With the abundance of information on the internet nowadays, people want information fast and are willing to pay money to get just the raw facts. No fluff, no hassles and straight facts would be the main selling point of these special reports. These reports are also extremely effective on people with low attention spans and can be used to grab extra sales or leads for your business. Some examples of good special reports would be how-to training guides, checklists and expert interviews. Example: “Special Report On How I Created $50,000 In 11 Days!” - These are also great as free gifts or viral reports to be given to your subscribers to help you attract more leads to your website. Viral marketed videos are one of the quickest ways to generate massive traffic and a huge following for your business. With the growth of big video sharing sites like YouTube and Dailymotion, tapping into the power of viral videos has never been easier. YouTube has millions of users to date and if you can tap into this market, the benefits for your business will be phenomenal. The key is to create multiple videos that provide quality content to your target market. Luckily, we have PLR to do all the product research and content for us. All we have to do is convert our PLR content into viral videos and upload them into Youtube. It might take awhile to build a small initial following for your videos, but once you video reaches a critical mass of views, it will appear more often on featured pages and will grow virally on its own. Remember, content is KING. The power of viral sharing lies in the content of the product. So it is highly advisable to edit the PLR content and include your own flair and personality so that people can relate to it. Don’t forget to include self-serving links to your business in the viral videos, or all would be for nothing! One of the fundamentals of online marketing is constructing a high converting sales funnel. There are a many ways you can improve conversions of your sales pages with the help of PLR. One way would be to do time-sensitive offers, another way would be to add e-books or special reports as a bonus. You can use PLR content to create your own special bonus as an add-on for people who purchase your products. The special bonus can also be used for promoting other people’s products (affiliate marketing). For example, if a big launch is coming up and you want to entice people to buy through your affiliate link, offer them bonuses made from PLR which would complement their purchase of the main product. If you are doing your own launch, you can offer bonus offers to customers after they have purchased your main product. This is part of the fundamentals of sales funnels and is known as a backend. It can be an upsell (something worth more than the main product) or a downsell (something cheaper). Tell your customers that this bonus is a one-time-only bonus (OTO) with your purchase and won’t be given anymore after clicking away from the page. Good bonuses can have up to 50% conversion rates, so carefully craft your bonus using PLR and make sure it is something that will benefit your customers who just purchased your product. For example, if you are selling a product on list building, you might want to offer a bonus such as an e-book on how to build a strong relationship with your list or something on traffic generation. Blogging is one of the ways many entrepreneurs have made passive income over the years. The make money through blogging, you need a blog on a certain niche topic with loads of useful content. PLR products can help you fill up your blog with content. You can break down PLR e-books into individual articles and use them as blog posts on your website. Once you have a substantial amount of content and following on your blog, there are many ad networks you can subscribe to and make money through your blog. One of the the biggest ad networks out there is Google Adsense. If approved, Google will place ads on your blog targeted to your niche, and anytime someone clicks on your ads you will be paid money by Google. Sounds simple? But be warned, Google has stringent guidelines for approving adsense accounts. You will need to have a niche blog with original, quality content that does not promote other ad networks. You will also need to have a big enough following before Google decides that your blog can make money for them. Thankfully, we can leverage on PLR products to fill our blog with quality content and we can then sit back and reap the rewards of autopilot blog income. This chapter is about personal branding, it’s about you - as a marketer, entrepreneur, life coach or author. Personal branding is important because with all the competition in your market, what makes you stand out besides your products is your credibility. You want to be seen as an expert and trusted person in the field you are in. That is why, PLR products can give you that edge. It takes long to build a brand for yourself. You need to consistently provide great content to your subscribers. You need to network is other marketers and get testimonials for them. You need to genuinely provide value for your target market and help them solve problems. 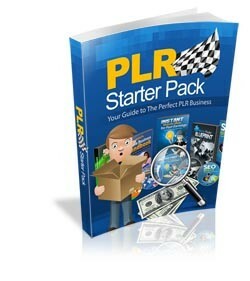 Not only can you leverage on PLR products to build your brand, PLR products help free time for you by saving time, money and effort on building products so that you can focus on networking and building credibility for yourself.